The bible is not a book. It isn't, it really isn't. Having spent a nontrivial amount of time with it, having dedicated my life to the study and promulgation of its sacred narrative, I just can't think of it as a book. Because it isn't. We get the word from the Greek τὰ βιβλία, or ta biblia, which is the plural for "the books." It's a collection of books, spanning thousands of years, two evolving languages, and multiple cultures. It contains histories and poetry, music and legal documents, stories and philosophy and correspondence. It has been carefully gathered over thousands of years, text added to text, the collection slowly coming together, coalescing around a theme. The Bible is not a book that God wrote. 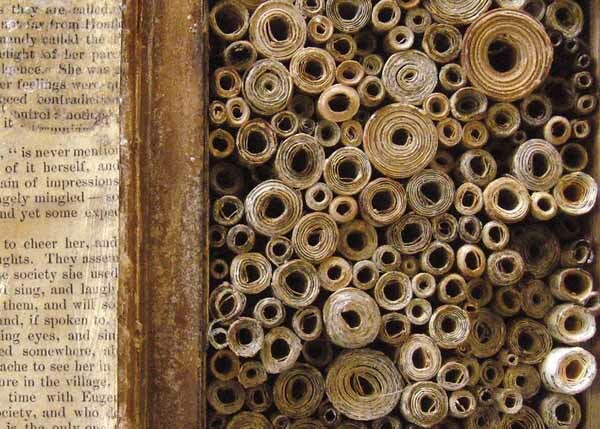 The Bible is a library that God curated. Now, there are some amongst my historical-critical brethren and sistren who might take issue with that. The process of works coming into canon was overseen by human beings. It was complex and organic and messy. It is easy, from academic abstraction, to make the mistake of desacralizing that process. It was all just politics, one could think. All just human beings, doing what they do. And on one level, it was. Yet I trust within that process that God was at work. Our sacred library was shaped by souls standing in encounter with their Creator, and wrestling together to shape meaning, finding the outlines of a transformative narrative writ in the sinews between texts. That is how the Spirit works. The process by which the Bible came to be was powerfully, profoundly real. As are all sacred things. Like the life of a child. Like laughter.